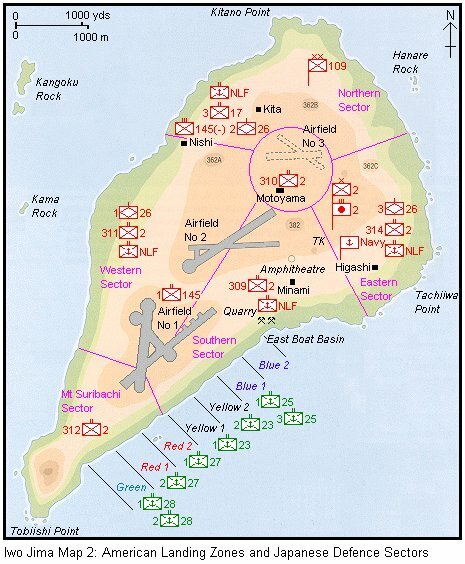 Map of the island of Iwo Jima, showing the American Landing Zones and the Japanese Defence Sectors. Numbers to the left of the unit denote the battalions, those to the right the regiments. Thus the two units landing on Green beach are the 1st and 2nd Battalions of the 28th Marine Regiment.